Andre Mendoza, 18, Jacob Adres, 19, and Malik Adams, 19, are charged with armed robbery. 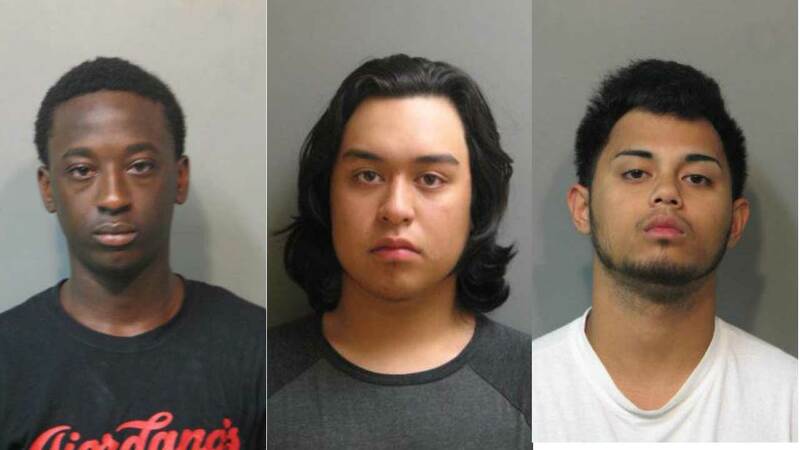 OAK LAWN, Ill. (WLS) -- Three men were arrested in connection with two armed robberies in suburban Oak Lawn and Alsip. The three allegedly robbed a man who was walking a trail in the Wolfe Wildlife area in Oak Lawn last Thursday. Armed with a pocket knife, the men allegedly took his wallet and car keys. A day later, two of the men allegedly robbed someone at a gas station in Alsip. They were taken into custody by police, at which time they learned the identity of the third offender in the Oak Lawn robbery, officials said. All three are being held at Cook County Jail. Mendoza's bond was set at $150,000 while the others were set at $90,000.